See more objects with the color grey tan darkslategrey silver dimgrey or see all the colors for this object. This is a Pleated fan. It is dated late 19th–early 20th century and we acquired it in 1944. 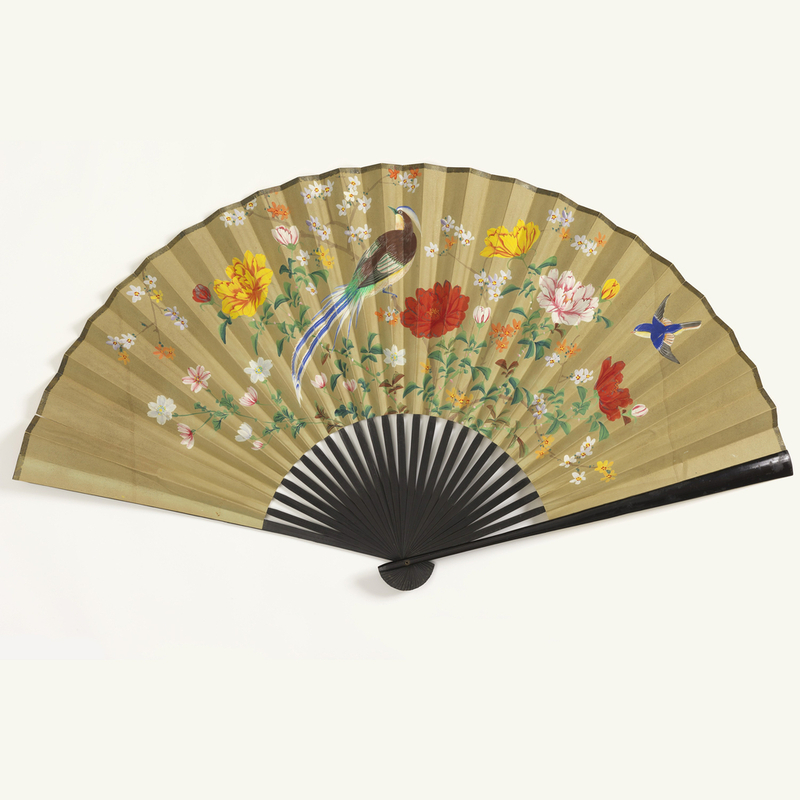 Its medium is painted paper leaf dusted with metal, painted wood sticks. It is a part of the Textiles department.